After an uber-successful IndieGoGo campaign, which saw it reach its $2 million goal in one day and bag a total of $4.2 million in all, cameras have started rolling on the sequel to the much loved cult comedy Super Troopers. While the guys at comedy troupe Broken Lizard have proven to be hit and miss, their 2001 off beat comedy about an irreverent bunch of U.S. state troopers has stood the test of time, with a parade of weird, offhand jokes (the ‘meow’ game is still my favourite) garnering a legion of fans. You just have to look at the budget it raised to see how rabid the fanbase is. And so it begins. First day shooting Super Troopers 2. Next to nothing is known of the plot, but the entirety of Broken Lizard will return, so that’s Jay Chandrasekhar, Kevin Heffernan, Steve Lemme, Paul Soter, and Erik Stolhanske once again pranking their way through a day of policing the Canadian border. As a huge fan of the original, my hopes are high for this not to go the way of Broken Lizard’s other cinematic efforts, like Club Dread and Beerfest. 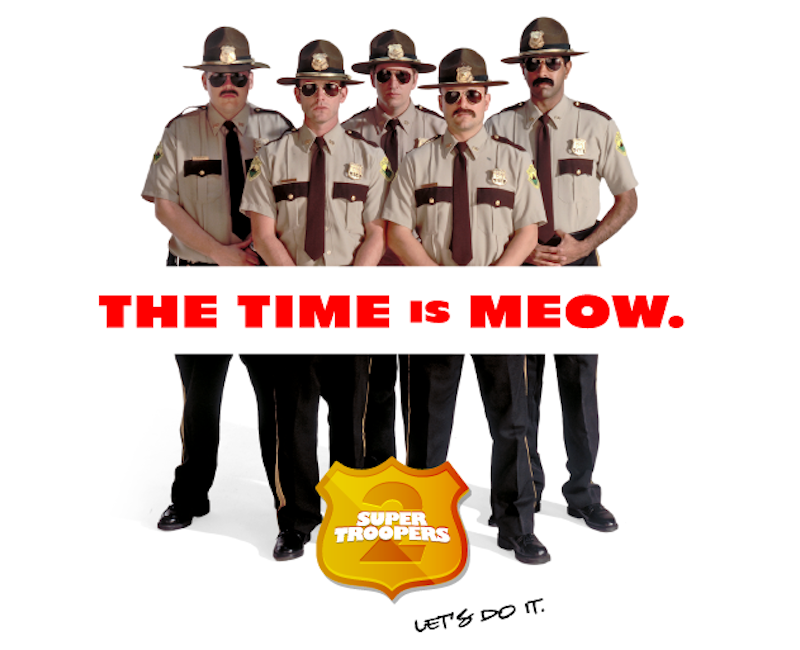 Super Troopers will be coming our way sometime next year.